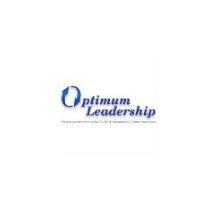 Optimum Leadership helps organizations to achieve their highest potential. By using the most effective Theory of Profound Knowledge, Optimum Leadership works to improve the quality of the interactions. To improve performance, Optimum Leadership focuses on improving the quality of the interpersonal interactions and the quality of the system interactions while avoiding the trap of attempting to improve the quality of the talent alone. Leaders must understand how to create employee engagement and we don’t yet understand how. The main reason is the embrace of the elements of Scientific Management theory that is still embraced by most business schools and by most organizations today. Without a transformation in thinking we cannot find the new solutions to the complex problems we face. Deming’s system of profound knowledge provides the very best model to achieve long-term and sustainable results. Optimum Leadership is dedicated to helping leaders to make a personal transformation. 1	jplist-folder-All-Posts-211 jplist-folder-Blog-212 Blog	jplist-topic-performance-appraisal	0	12/09/2015 16:55:15	Check our my recent interview with Best Seller TV!In my book, Stop the Leadership Malpractice: How to Replace the Typical Performance Appraisal best-selling, I talk about why the typical performance appraisal needs to be replaced. I discuss how the current system takes away from the ability to take advantage of a company's most important asset, its people. These appraisals also erode the ability to trust the organization, which in turn, reduces creativity and innovations. CLICK HERE TO VIEW MY INTERVIEW! Self-Organized is the new workplace structure for the new knowledge economy. The hierarchy can't serve us any longer. Do you agree? 2	jplist-folder-All-Posts-211 jplist-folder-Blog-212 Blog	0	01/22/2015 09:26:42	Self-Organized is the new workplace structure for the new knowledge economy. The hierarchy can't serve us any longer. Do you agree? 4	jplist-folder-All-Posts-211 jplist-folder-All-Posts-211 jplist-folder-Blog-212 Blog	0	08/06/2014 13:15:47	Leave a reply	Podcast: Play in new window | Download Wally Hauck is the author of two different books on leadership. One of the things Wally talks about extensively in this interview is leadership and trust. Trust between the manager and someone that person is managing. If you are interested in becoming a leader or you think you are in a leadership capacity in some different scenarios one of the things you really need to work on developing is trust. That is what I would like to highlight in this episode today: leadership and trust Wally Hauck, PhD has a cure for the deadly disease known as the typical performance appraisal. He is also the author of two books, The Art of Leading: Principles for Predictable Performance Improvement and Stop the Leadership Malpractice: How to Replace the Typical Performance Appraisal. Zeb’s Take – Leadership and Trust Wally talked a lot about employees and how they engage with the workforce. One of the things in the interview that really struck me is the importance of building trust between managers and employees and the ways to do that. In a leadership position you are constantly making agreements with people and if you take on that leadership role you need to make sure that you are agreeable to those agreements; that you do the things that you say you are going to do. If you don’t it really erodes trust with the people that you are working with and it makes it much more difficult for them to accomplish the things that they want. If you don’t do what you say you are going to do, it makes it easier for them to not do the things they say they will do. Leadership and trust go hand in hand. If you want your employees ,or the people that are working for you, or the people that you are leading to do something that you ask of them you need to be accountable to them just as much as they need to be accountable to you. I think that’s one of the biggest problems that leaders face is being able to overcome that. Here’s a personal example. There’s a membership committee through my local chamber of commerce that I’m the head of. I have a plan in my head of these things I want to accomplish with each meeting. I want to send a follow up email after each meeting. I want to send an email before the event to let people know the event is taking place. Honestly, sometimes I forget. I’ll forget to send the email after the meeting or before the meeting or maybe I’m ill prepared when the event comes, maybe I don’t prepare as well as I usually do. I’ve realized that in those situations it erodes some trust. For me, it’s really important to develop procedures and processes so that I don’t forget to do those things, so that I’m someone who does the things they say they are going to do. So they can see my leadership and trust in me. The same thing in the mastermind group I’m in: I really want to come up with a structure for these mastermind sessions. Sometimes I get so overwhelmed or so busy that I forget to put those procedures in place. Another great idea Wally talked about was developing a checklist. Not just a checklist for your employee or the person you are trying to lead, but for yourself as well. If you are accountable for everything that you are supposed to be accountable for it makes it much more likely that the people you are leading, if they see you are checking off all the things that you are responsible for, it’s much more likely they will be checking off all the things that they are responsible for. Sign up for our newsletter! Thanks for listening to the Defining Success Podcast. Now, go out there and find your success! Find out more about Wally Hauck and his books Visit WallyHauck.com and download his free research article about the process and the success that one of his clients has received. 5	jplist-folder-All-Posts-211 jplist-folder-All-Posts-211 jplist-folder-Blog-212 Blog	0	08/06/2014 13:01:55	Stop It! How to Lead Poor Performers or Help them OutPoor performers distract everyone. They waste management time, damage motivation of co-workers, reduce productivity, damage quality, lower customer satisfaction, and black the achievement of results. We are doing a dismal job managing poor performance : The U.S. is wasting $105 billion annually on poor hiring and poor management 23% of U.S. employees believe colleagues are incompetent 68% of employee mistakes go unreported 27% of management time is spent on poor performers or correcting their mistakes If leadership is an art and a science it requires melding the “softer” side of leadership, such as managing trust, with the “hard” side of building an effective system for results. Current leadership tools, such as the typical performance review, are failing to deliver needed results. This presentation delivers proven strategies and tools, for both the neophyte manager all the way up to the most seasoned senior executives, to facilitate either a successful turnaround of performance behaviors or a respectful “de-selection” (removal) of those employees unwilling or unable to fulfill their responsibilities. Participants will learn: How to recognize a poor performer and take action early to save a turnaround. Proven techniques for enrolling the full cooperation and engagement from everyone in the organization. How to use breakthrough tools to create high levels of responsibility and effortless accountability. The new skills leaders need to develop to compete in the knowledge economy. How to optimize the legal protection of the organization while accelerating solutions to poor performing people. When: Tuesday, August 26 at 7AM EST Where: This class will happen LIVE Investment: $40 USD CLICK HERE TO REGISTER NOW! 6	jplist-folder-All-Posts-211 jplist-folder-All-Posts-211 jplist-folder-Blog-212 Blog	0	07/30/2014 11:03:35	ONE HOUR LIVE WEBINAR- Tuesday, August 26, at 7am ESTStop It! How to Lead Poor Performers or Help them Out Poor performers distract everyone. They waste management time, damage motivation of co-workers, reduce productivity, damage quality, lower customer satisfaction, and black the achievement of results.We are doing a dismal job managing poor performance[1>:The U.S. is wasting $105 billion annually on poor hiring and poor management23% of U.S. employees believe colleagues are incompetent68% of employee mistakes go unreported27% of management time is spent on poor performers or correcting their mistakesIf leadership is an art and a science it requires melding the “softer” side of leadership, such as managing trust, with the “hard” side of building an effective system for results. Current leadership tools, such as the typical performance review, are failing to deliver needed results.This presentation delivers proven strategies and tools, for both the neophyte manager all the way up to the most seasoned senior executives, to facilitate either a successful turnaround of performance behaviors or a respectful “de-selection” (removal) of those employees unwilling or unable to fulfill their responsibilities.Participants will learn:How to recognize a poor performer and take action early to save a turnaround.Proven techniques for enrolling the full cooperation and engagement from everyone in the organization.How to use breakthrough tools to create high levels of responsibility and effortless accountability.The new skills leaders need to develop to compete in the knowledge economy.How to optimize the legal protection of the organization while accelerating solutions to poor performing people.When: Tuesday, August 26 at 7AM ESTWhere: This class will happen LIVEInvestment: $40 USDCLICK HERE TO REGISTER NOW! 7	jplist-folder-All-Posts-211 jplist-folder-All-Posts-211 jplist-folder-Blog-212 Blog	0	07/11/2014 10:40:45	What is an agreement?An agreement is a specific, measurable, and time sensitive task where the person responsible for the task has a predictable process available to complete the task and all factors are within the control or influence of the person. For example, we can make an agreement to arrive at work by 9 AM every morning. We know when we need to get up and approximately how much time is needed to travel to work. We also know our method of travel (usually a car) is in good working order and is capable of getting us to work if we leave at the appropriate time. All factors are under our control.What behavior must we manage first?We must be able to manage our agreements if we are to demonstrate integrity. Demonstrating integrity is a critical skill for managing trust with others and for being a productive, trustworthy, team member.At minimum there are two behaviors we all must manage in order to demonstrate integrity:Make only agreementswe intend to keep.Immediately communicate when we can’t keep our agreements to those who need to know.What is feedback?Feedback is data from a process for the purpose of learning. Criticism is opinion or judgment. Every employee can have the ability to give feedback about either agreements which are kept or agreements which are broken. When an agreement is kept we can say, “Thank you for keeping your agreement.” Or, “I appreciate you keeping your agreement with me.”When an agreement is broken we also must give feedback because broken agreements can lead to broken promises to customers which will predictably lead to higher cost and/or lost customer loyalty.When an agreement is broken we can say, “May I please give you feedback about your agreement?” We can then have a discussion to find out why the agreement was broken. “The process didn’t work. Why? How can we improve the process you are currently using to keep your agreement?” What is accountability?Accountability is a condition where one is aware of what they need to be accountable for, they understand a predictable process for keeping that agreement. They agree to follow that process and finally they know they will receive feedback if the agreement is not kept or the process did not work (there was too much variation).How can we manage accountability?Holding employees accountable to their agreements (commitments) is the most effective strategy for high performance. Holding people accountable for results can result in unintended consequences such as manipulation and/or cheating. Feedback provides the key final step for our definition of accountability. In order to create trust we must expect employees to keep their agreements. We must expect they can be trusted to have integrity. We must expect them to do what they say they will do. When they fail to keep their agreements we must remind them and bring it to their attention. This is the role of feedback. Feedback provides confirmation that people kept their agreements. It provides confirmation that people have integrity.Everyone wants feedback. Any responsible adult will want to learn how to improve their interactions. Conversely, anyone unwilling to listen and learn is being irresponsible and possibly does not belong in the organization. Very often, irresponsible employees will quit when they know they will be held accountable to these values behaviors. Often these employees are those causing the most wasted management time on performance issues.The average leader is not willing or able to recognize that variation occurs in every process and so they tend to see all mistakes (or any variation from their expectations) as avoidable. Some variation is avoidable and some is not. Let’s take a simple example.Think about how long it takes you to travel to your office everyday (drive, walk, ride your bike etc.). What is the average time? Is there a great deal of variation in this process or can you predict (with accuracy) how long the trip will take? If you can predict the amount of time with fair accuracy, the process (or route you take) is probably stable. A stable process is one that has a specific capability. It can be used to make a prediction. By collecting data and plotting it onto a “control chart” a leader can begin to manage the variation in a process. A Control chart is used to monitor the variation in a process. Properly collected data are plotted on a run chart and certain limits are calculated. Data points that fall within the limits (upper and lower control limits) indicate common cause variation or random variation. Any points that fall outside these limits indicate a major change to the system.If we properly collected data about your commute to work and plotted it in a control chart, we would probably see only common cause variation. This would mean all the data points would fall within the control limits. This means that you could predict a commute time that averages X and is not more than Y and no less than Z (where X = the average time, Y= the upper control limit and Z = the lower control limit).If any of the data points fall outside the control limits, this would indicate an unstable process. The point outside the limit is a special cause and indicates some major flaw in the system or process. For example, if your normal route home suddenly falls into major construction, you will either be significantly delayed or will need to choose a new route. This change in the system would show up on the control chart when your trip time data point falls outside the usual control limits. This change in the system is unusual, easily identifiable, and often easy to eliminate (just take a different route. Other variation in this simple example is unidentifiable because it is due to multiple causes at the same time that continuously interact (traffic, weather, road conditions, temperature, day of the week, etc.). This is called common cause variation.Leaders must understand the difference between common cause variation (inside the control limits) and special cause variation (outside the control limits) because each requires a different strategy. Common cause variation is not caused by any one special event. Instead it is the “voice” of the system the way the system is currently operating. If a leader wants to improve common cause variation he/she must study the process using the quality improvement tools and make decisions based on knowledge of the system. This often requires a process improvement team because processes are complex and they are interdependent with other processes in the system. A change in one process can cause an impact (unintended negative consequences) in another process. Leaders that make small changes to process with the intention to make improvements can actually make things worse unless they take the time to study the entire process.Leaders must understand when a special cause appears so immediate action can be taken because there is an assignable cause to the change. In our commute example, the construction caused a significant increase in commuting time and is therefore a special cause. The leader is justified to take action immediately to remove the special cause (take a different route).The key for leaders is to become aware of the variation in the processes within their control and manage that variation. This often requires the collection of data and the presentation of that data in a control chart.Managing variation improves quality, profitability, and, shareholder value. Companies that manage variation well can bring new products to market more quickly, with minimal errors, can produce high-quality products with minimal rework, and can grow customer loyalty faster. Variation can increase all eight types of waste as detailed by Toyota:Waste from over production.Waste from waiting time.Transportation waste.Processing waste.Inventory waste.Waste of motion.Waste from product defects.Waste of under-utilization of people skills and capabilitiesWaste in any form damages profitability, employee engagement, and customer loyalty. The ability to manage variation in work is a critical competency for all managers and leaders. This skill must be taught to all employees to enable an organization to manage long-term performance and customer loyalty. 8	jplist-folder-All-Posts-211 jplist-folder-All-Posts-211 jplist-folder-Blog-212 Blog	0	07/01/2014 11:07:34	Leaders often say no one likes change except a baby. Or they say, people resist change. What can leaders do to manage change in such a way that people are willing to embrace it and not reject it? Leading an organization to adapt to change is one of the most important skills leaders must develop to be successful. The rate and volume of change is increasing more than ever before and research confirms that the Human Side of change must be managed with care and skill to achieve high performance and avoid pit falls. Research also tells us it is rarely handled well. In this session participants will learn: The 3 key success factors that improve an organizations adaptability. How trust will increase adaptability to change.How to minimize the depth and length of disruption to employee productivity.How to improve the probability of success by managing the four key elements of trust. When: Tuesday, July 22 at 7AM EST Where: This class will happen LIVE Investment: $35 USD CLICK HERE TO REGISTER NOW! 9	jplist-folder-All-Posts-211 jplist-folder-All-Posts-211 jplist-folder-Blog-212 Blog	0	04/08/2014 10:41:30	There's a Bully at My Work...Now What?Bullying and employee engagement don't mix. Bullying is one person intimidating or threatening another in a disrespectful, dominating, or cruel manner. Bullies tend to put performance results ahead of all other considerations including respect and trust. Bullies think about themselves and not about others. Aggressiveness is action without regard to others. It's an "I win and you lose" strategy. Assertiveness is action with a "win-win" strategy. Employee engagement can only grow in a culture that discourages and prevents bullying while encouraging collaboration, respect, and effective relationships with win-win communications.In this one hour webinar participants will learn:Why bullies exist and why they survive in organizations How to shift your thinking about a bully to create positive power and influence Techniques which will re-direct the bully's attacks and starve the source of a bully's power When: Tuesday, April at 07:00 am ESWhere: One Hour Webinar. This class will happen Live.Investment: $20.00 CLICK HERE TO REGISTER NOW! 11	jplist-folder-All-Posts-211 jplist-folder-All-Posts-211 Book-Book	0	08/07/2013 13:24:00	I am sure you know that 85% of organizations demand managers use a process that 85% of employees and managers despise. My guess is you dislike this process too.The typical performance appraisal causes injury to people and organizations. It must be replaced. The aim of this book is to compel leaders to replace their typical performance appraisal methods with one more closely aligned with systems thinking. In addition, the aim is to replace it with one that actually achieves the desired outcomes of increasing individual development, improving communication between employees, implementing organizational strategies, and improving organizational performance. 12	jplist-folder-All-Posts-211 jplist-folder-All-Posts-211 Webinar--Recorded--Webinar--Recorded-	0	05/27/2012 01:55:00	To become a leader of change, we must be on the cutting edge of “leadership technology.” This presentation explains how managing change and employee engagement are interdependent and offers principles, actions and tools to improve a leader’s capacity to facilitate change.In this humorous and interactive presentation Dr. Wally Hauck explains why we continue to do the same things and expect different results while employee engagement, productivity, quality, and loyalty continue to suffer. Wally delivers proven strategies and tools to facilitate change and engagement. 13	jplist-folder-All-Posts-211 jplist-folder-All-Posts-211 White-Paper-White-Paper	0	03/16/2012 21:16:00	Independent Living, Inc. (IL) is a consumer-directed, cross-disability advocacy and service organization with the mission of enhancing the quality of life for persons with disabilities. IL’s vision is a barrier-free society with opportunities for all persons to achieve their maximum potential. To effectively accomplish its mission and vision, it’s essential that IL’s workforce be fully engaged and productive while optimizing resources and avoiding waste and wasted time. IL’s leadership wanted to significantly, continuously, and permanently improve its working environment to optimize the achievement of its mission and vision:IL wanted to modify their performance management process twice during the 2007 and 2009 budget years. IL’s intention was to simplify the process, reduce or avoid wasted management time, enhance working relationships, and improve employee loyalty, engagement, and productivity. IL Leadership wanted to accomplish this in the most efficient and effective manner. IL wanted to re-design the performance management process in a way that would enable management and staff to address key issues such as:Improving communicationEnhancing leadership skillsImproving service to clientsIncreasing efficiency and effectiveness while optimizing limited resourcesIL leadership decided to engage Wally Hauck of Optimum Leadership to implement a new performance management process entitled the Continuous Development of People Process (CDPP).IL was able to accomplish all four intended outcomes as measured by a Culture Assessment. The assessment was conducted before the initiative (February 2010) and after the first full round of the new performance appraisal CDPP (April 2010). 14	jplist-folder-All-Posts-211 jplist-folder-All-Posts-211 eBook-eBook	0	03/09/2012 14:06:00	In these dynamic time leaders need help from all employees. They can’t afford to waste time and Employee engagement is the emotional “energy” employees feel for their organization or their team such they are willing to exert extra voluntary effort to achieve success for all. This energy is an untapped resource in most organizations. It’s the leader’s job to create an environment that brings this energy forward naturally. Employee engagement is the new competitive advantage. Without it you are probably going out of business. With it you can achieve astonishing results. they certainly can’t afford to waste human potential.This book provides leaders with 7 conditions leaders can create that create an environment where engagement can naturally emerge. It is about unleashing this natural energy to achieve surprising performance results and not forcing, driving, or controlling people toward performance.